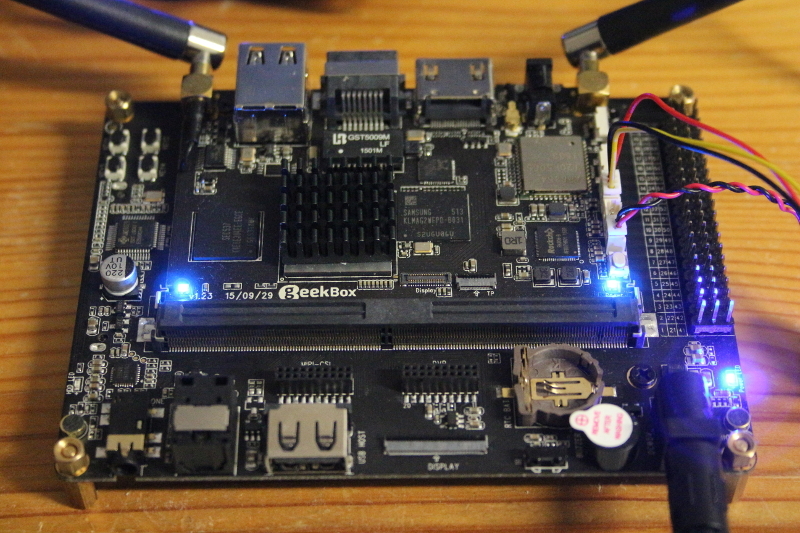 The GeekBox is a TV box with an MXM3 module inside. It can optionally be extended with the Landingship base board. Note: the mtdparts= parameter is used by the flash tools, even if your kernel doesn't care. Initial patches for RK3368 and GeekBox have been sent to the mailing list post v2016.07. Warning: Flashing mainline U-Boot means you can no longer enter rockusb mode by pressing the "Update" button! Instead you will need to short two pins on the bottom of the module to enter MaskRom mode for recovery. Initial .dts patches have been sent to the mailing lists post v4.4 and made it into v4.7-rc1. This page was last modified on 5 September 2016, at 10:40.